An update on the above project by Jimmy Reed, Rock Solid Tile Inc. and Doug Johnston, Stonecrest Pools. Looks absolutely amazing - we can't wait to see the pool filled! View/download the LATICRETE® Pool, Spa and Fountain Tiling Systems Brochure by clicking here, to ensure your next project is as successful. 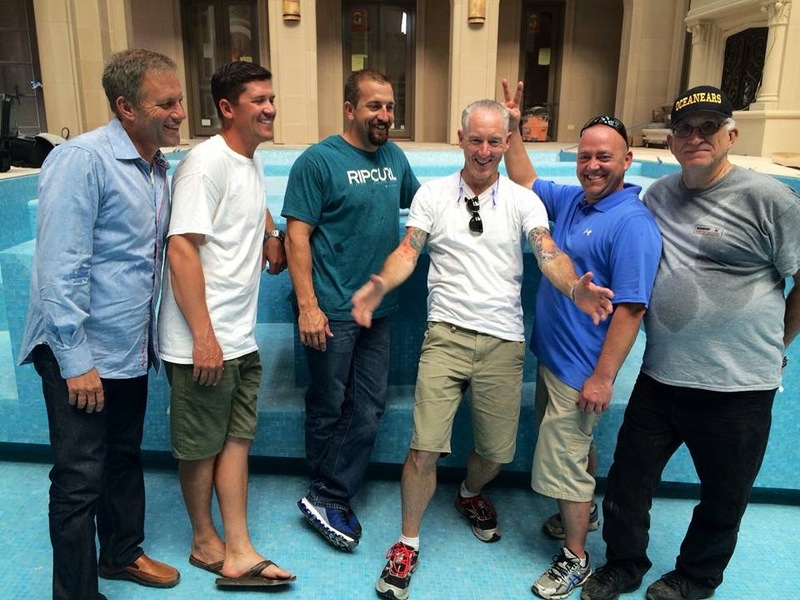 For more on Jimmy Reed of Rock Solid Tile Inc. - click here. For more on Stone Crest Pools - click here. Click here for more info on WATERtv. Contact us for more information on the available installation systems and warranties for tile and stone, by calling 1800 331 012 or email us here. You can't miss the river when driving into Iowa City, Iowa. The whole town climbs up from its meandering banks. At some points wildly overgrown, at others chastened with minor dams, the river appears placid as it snakes through the University of Iowa campus. Locals know, however, that the river occasionally creeps - or even surges - over its banks. This image of a river as a metaphor for life is the subject of award-winning UK mosaic artist Gary Drostle's largest public commission to date. One of three large public commissions installed at the University of Iowa in 2010, Drostle's mosaics are a stunning focal point and a welcome addition to the extensive University of Iowa art collection. Created for the University of Iowa Wellness Center, the River of Life and its accompanying medallion, Movement and Vitality, welcome visitors at the main entrance to this state-of-the-art, $59 million facility. 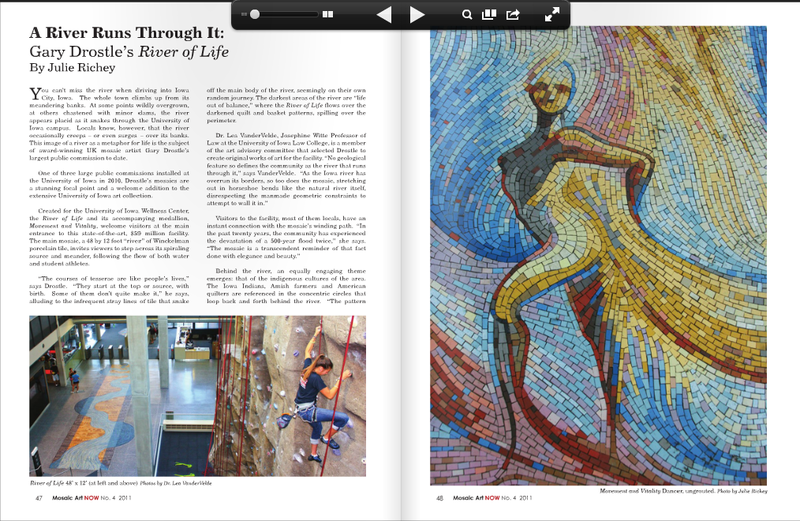 The main mosaic, a 48 by 12 foot "river" of Winckelman porcelain tile, invites viewers to step across its spiralling source and meander, following he flow of both water and student athletes. "The course of tesserae are like people's lives," says Drostle. "They start at the top or source, with birth. Some of them don't quite make it," he says, alluding to the infrequent stray lines of tile that snake off the main body of the river, seemingly on their own random journey. The darkest areas of the river are "life out of balance," where the River of Life flows over the darkened quilt and basket patterns, spilling over the perimeter." Henry B. Rothberg played a vital role in the selection of materials and the support. 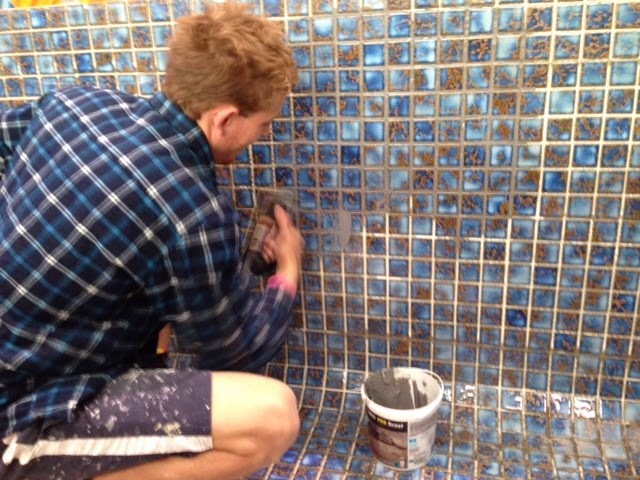 To continue reading what Gary Drostle had to say about LATICRETE and the products used on this amazing mosaic click here. For technical or product support contact us by calling 1800 331 012 or email us here. 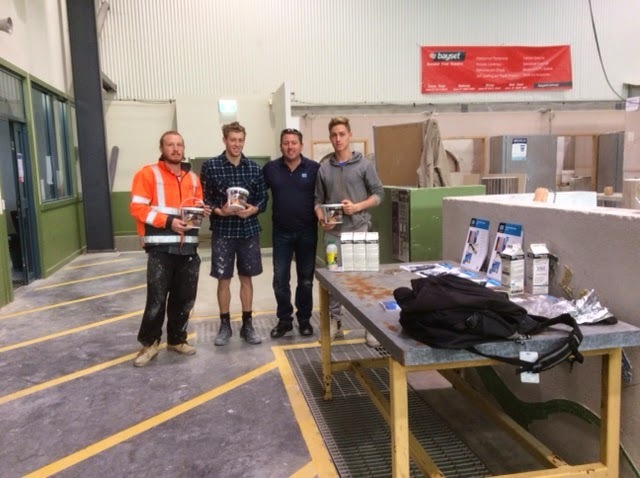 Nick Collett, LATICRETE QLD Technical Sales Rep had the pleasure of demonstrating SPECTRALOCK® PRO Grout to some forth year apprentices. There were also discussions around installation systems in general at SkillsTech Acacia Ridge, QLD. The SkillTech TAFE teachers, Derk and Nathanael were very supportive. For information on SPECTRALOCK PRO Grout and to view an installation video, click here. Can we interest you in FREE samples or a demo? Contact us by calling 1800 331 012 or email us here. 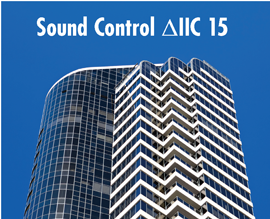 Whether you are trying to control sound transmission through hard surface flooring to occupied space below in a residence or commercial setting, enhancing the quality of living, or suppressing noise to make offices and homes a more productive and pleasant atmosphere, LATICRETE has the answer! LATICRETE offers a thin, fast to install single step Adhesive Sound Control for Tile or Stone installations. 125 Sound & Crack Adhesive is a single step adhesive - just add water, mix and spread to install your tile or stone. Eliminating multi-step, thick, labour intensive methods of installing sound control mats. 125 Sound & Crack Adhesive is a globally proven product supported with in-depth technical service and backed by an available 25 Year System Warranty. No other company or product offers such innovation and value! Click here for more info and to watch an installation video. Contact your local LATICRETE Technical Sales Rep here, or by calling 1800 331 012. 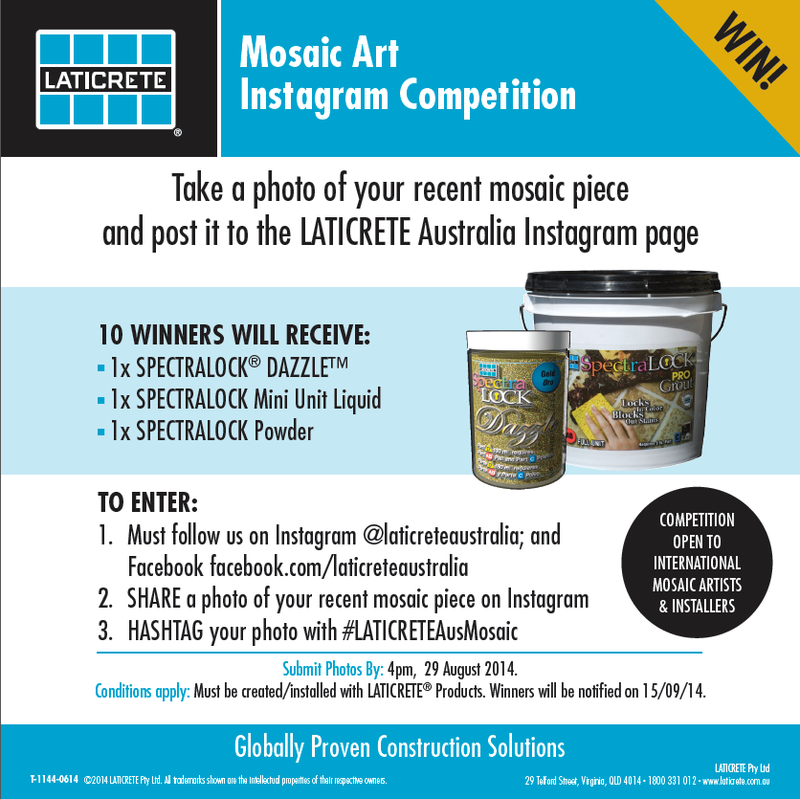 Our Mosaic Art Instagram competition closes this Friday, 29 August 2014. So if you haven't entered our competition, quickly do so! 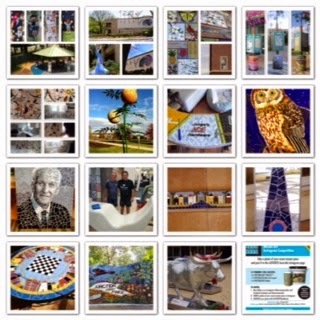 Ok - so what do you need to do to enter our Mosaic Art Instagram Competition? Your mosaic project must be created/installed with LATICRETE® products. Questions? Contact us on 1800 331 012 or email us here. 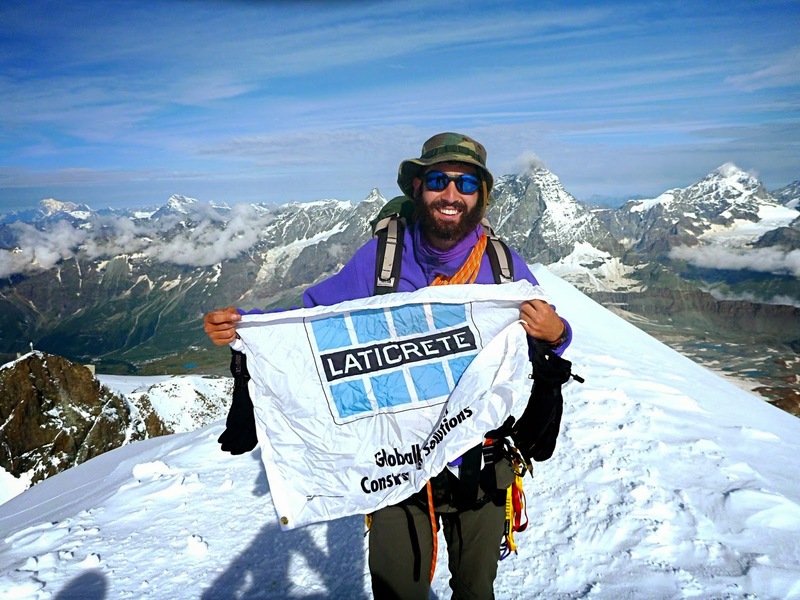 Avi Meadow, nephew of LATICRETE owners David and Henry B. Rothberg, just returned from a few days spent at around 4000 metres in the Alps on the border of Italy and Switzerland. "I climbed with Michael Siu (From Hong Kong) and Louis Wilson (From Chicago), both good friends from University. We started in Zermatt, Switzerland, taking the Klein Matterhorn Tram up to 3800 Metres. From there we traversed East to the base of the Breithorn, where we climbed up the South Western ridge to the western and highest summit at 4165 metres (August 7, 2014). From there we descended and continued to traverse East to the Val De Ayas Hut where we spent the night. The next morning we awoke early and began to ascend to the base of the summit push of Castor, a few hours climbing above the Val De Ayas Hut. From the base we climbed up the South West face to the summit ridge, where we traversed east on a knife edge and exposed ridge to the summit at 4228 metre ( August 8, 2014). We descended from the Eastern side of the mountain down to the Quintino Sella Hut. The next day large storms hit the range so after spending 1 day stranded in the hut, we took a brief window of calm to descend down to the Aosta Valley in Italy to end our journey with a 6 hour, 4 different trains, ride back to Stresa! 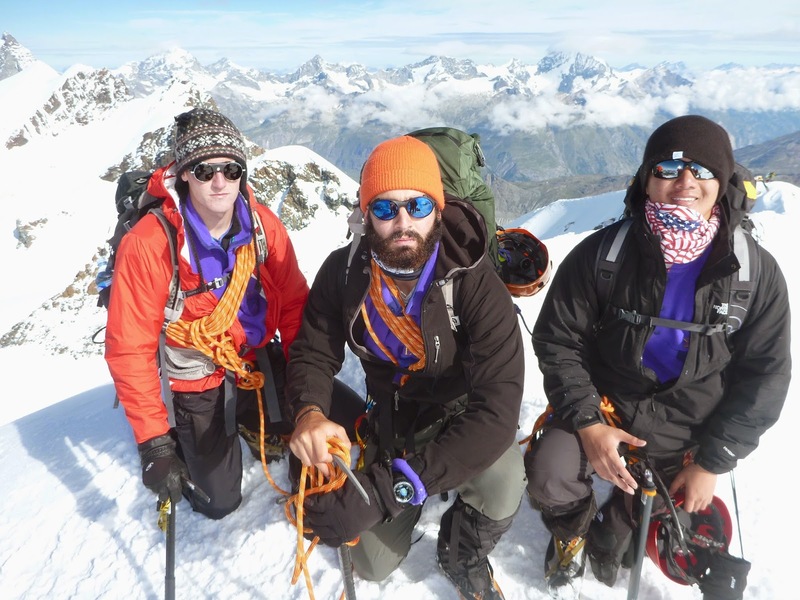 The pic with the flag is on the summit of the Breithorn." 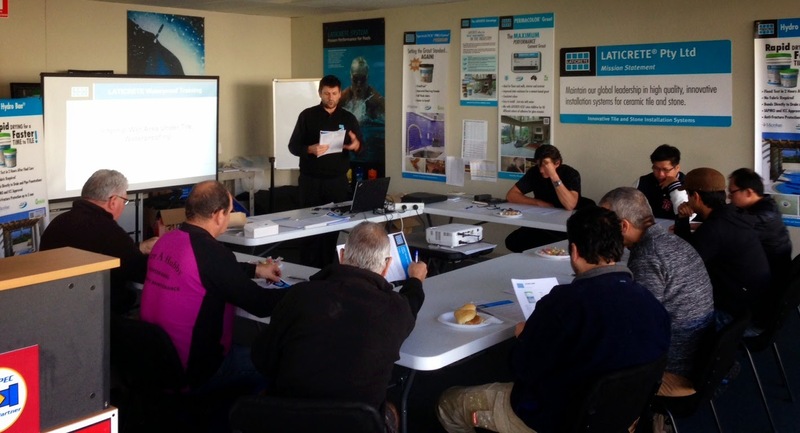 Your local LATICRETE Technical Sales Rep, Alex Kralefski providing training on HYDRO BAN® at our offices in Victoria. HYDRO BAN is a thin, load bearing waterproofing/crack isolation membrane that DOES NOT require the use of fabric in the field, coves or corners. HYDRO BAN is a single component, self curing liquid rubber polymer that forms a flexible, seamless waterproofing membrane. HYDRO BAN bonds directly to a wide variety of substrates. Click here to view an installation video & for more information. Our training program is specifically developed for ceramic tile and stone industry distributors, dealers and other industry professionals who want to improve their profitability and increase their productivity as they become familiar with LATICRETE profitable, time saving products. Experienced faculty utilises both classroom instruction and hands-on product demonstrations. Attendees also have the opportunity to meet with key LATICRETE personnel. We offer training and classes that discuss commercial, residential, industrial tile and stone installation practices and industry standards. Can we interest you in a FREE pail of HYDRO BAN? Call 1800 331 012 or contact us here for more information on our products and training provide, and to request your FREE sample! Upgrade to Toowong Shopping Centre! 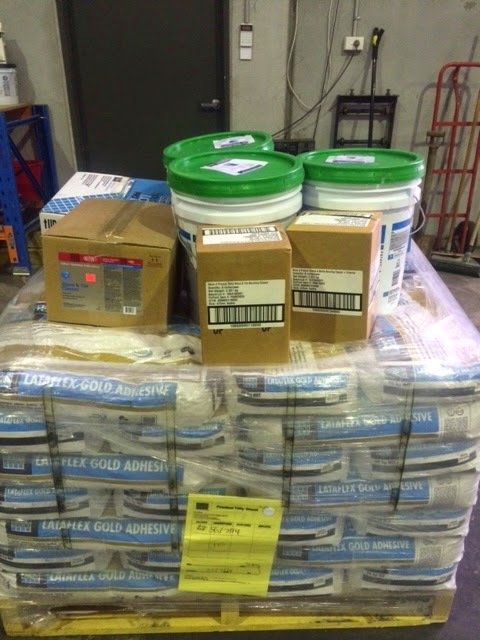 Total Terrazzo QLD Pty Ltd have chosen LATICRETE 335 and 335 Rapid Premium Flexible Adhesive as their preferred materials for the upgrade of the floor tiling at the Toowong Shopping Centre, in Brisbane. 335 Premium Flexible Adhesive is a high performance thin-bed adhesive for installing a wide range of types of tiles and stone including low absorption ceramic tile, porcelain tile, natural and manufactured stone using thin-set method of installation. Call 1800 331 012 or contact us here for technical support and for more information. Do You Want FREE Product? This PROMO is One Not to be Missed! 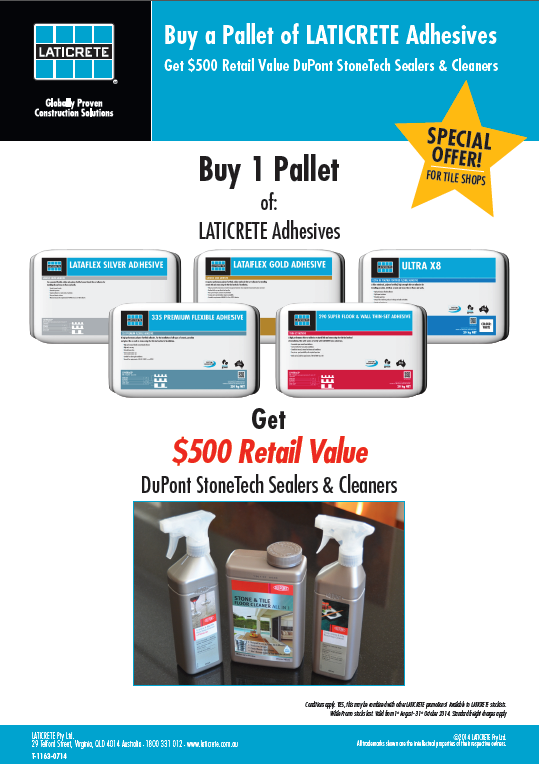 Calling LATICRETE Stockists - When you purchase LATICRETE products you will Get $500 Retail Value of DuPont® StoneTech® products. YES - this may be combined with other LATICRETE promotions! 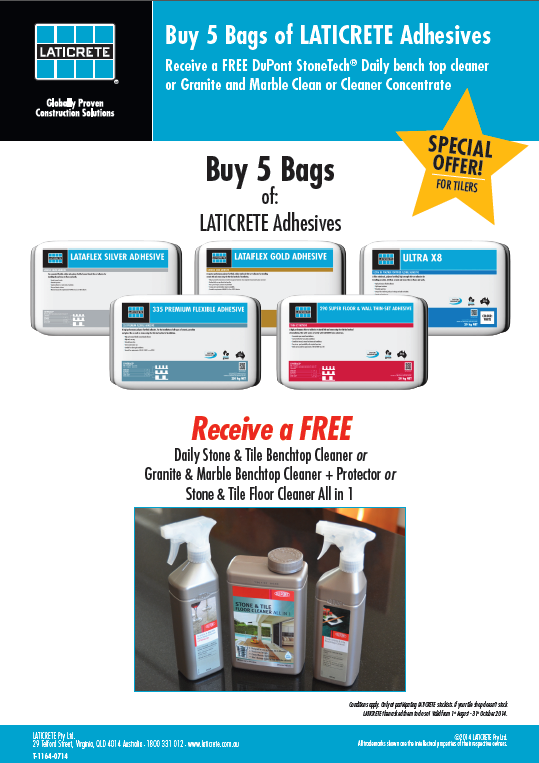 But wait, there's more - LATICRETE stockists, this great promo is not only restricted to LATICRETE Adhesives. 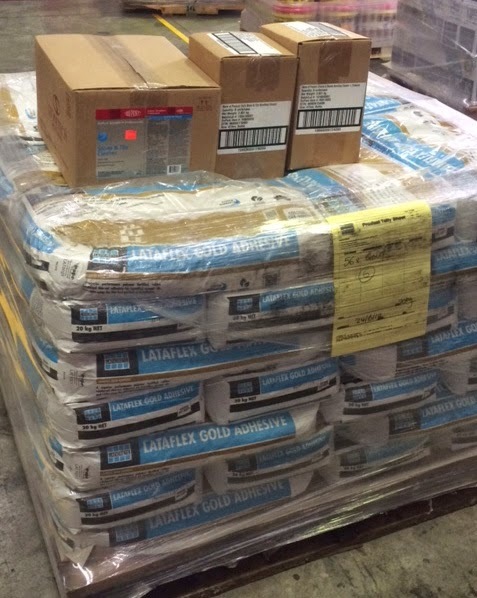 When you buy a pallet of LATICRETE products, you will automatically get the *$500 retail value of StoneTech® Sealers and Cleaners FREE! For more information on this great promo, call us on 1800 331 012 or email us here. The Little Frog - Will he become a Prince? 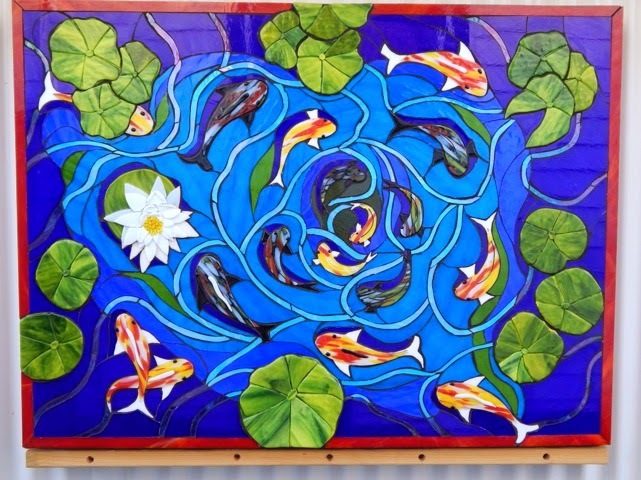 "This was the first time that I had used Laticrete on a large piece. 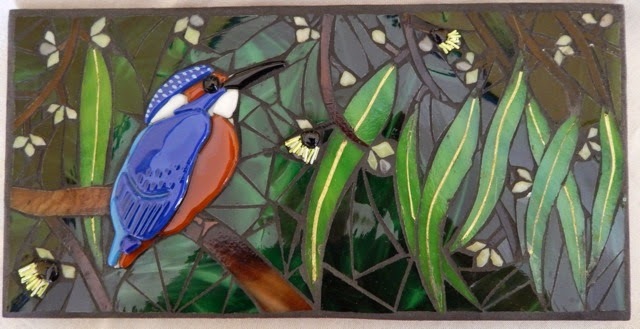 I used the ‘normal’ grout in midnight on the attached kingfisher 30cm by 15 cm indoor piece I made last year. I ‘discovered’ Laticrete with this piece as everyone I asked said that Laticrete produced the best colours in their grout range. And I might add they were right. I used the midnight black on the kingfisher piece and it held the black really well. A lot of black grout from other makers seem to go grey once they cure but not this one. I used the 335 adhesive and the spectralock grout for the first time on the panel as it is an outdoor piece. I found the 335 was lovely and smooth and buttery. I could just as easily butter each piece or put it on larger areas. It also worked really well with the fibreglass mesh I put on some of the larger pieces. Though once it set that was it, there was no changing the location of the piece - it wasn’t going to go anywhere! 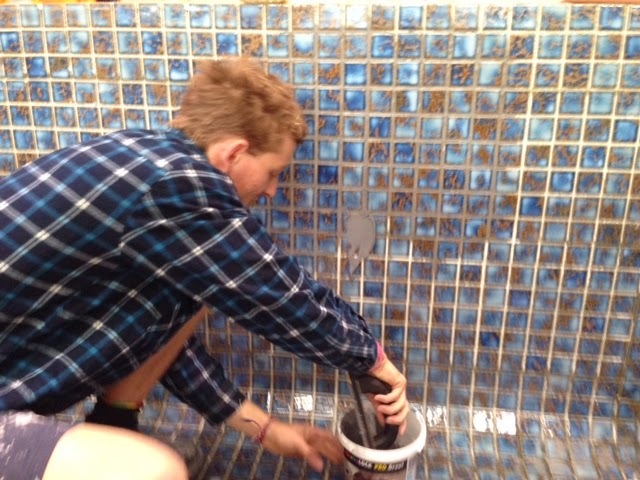 The SPECTRALOCK® PRO Grout was really easy to use and the instructions were easy to follow. I found the clean up with this grout a lot easier than ‘normal’ grout and it did not need to be sealed. I felt that the clean up of the grout seemed to clean and add an extra sheen to the glass as well so that was an added bonus. I have since used the 335 on another piece I made for a friend and this time I added black cement oxide to it. 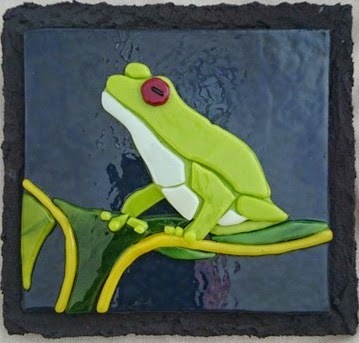 I used it to adhere the little fused square of glass that I fused a frog in glass onto a 15cm square marmox board as well as making the 335 the textured border. This is also attached so you can see what I am talking about. Contact us on 1800 331 012 for more information on LATICRETE products or email us here. Quickly - Enter Your Mosaic Art Before It Is To LATE! 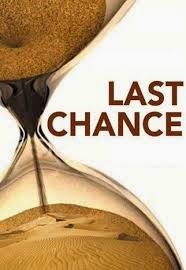 Just about anyone can enter our competition - also open to INTERNATIONAL Mosaic Artists and Installers! If you working on a mosaic project - the good news is, you have until 4pm, 29 August 2014 to submit your photos! Does your Adhesive supplier do Market Research in the field? LATICRETE R&D Manager, Dr. Surendra Patel On Site. As the global leader in developing and manufacturing innovative systems for the installation of tile and stone LATICRETE recognises that there are a number of challenges that the construction industry is faced with today. To face and address these challenges the LATICRETE team is equipped with a range of technologies, tools & People. This includes modern and well equipped cutting edge R&D facilities staffed with qualified experienced technical researchers and specialists. 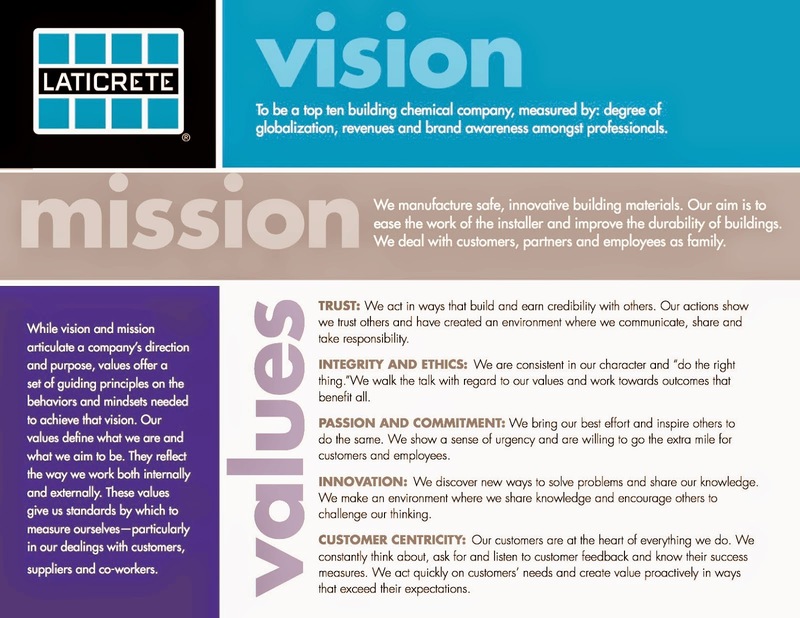 With our LATICRETE R&D resources – people and expertise - we continue to fine tune our construction solutions through state of the art products for the installation of tile and stone. Through ongoing research and innovation our products are designed and engineered to meet the needs of specifiers and construction industry professionals. LATICRETE is strongly committed to technical support and training for our customers, clients & end-users of our products as well as our own people. We encourage you to meet and discuss your next project with your local LATICRETE Technical Sales Rep and find out how we can help make your job site another globally proven construction project using our innovative products. Call us on 1800 331 012 or contact us here. 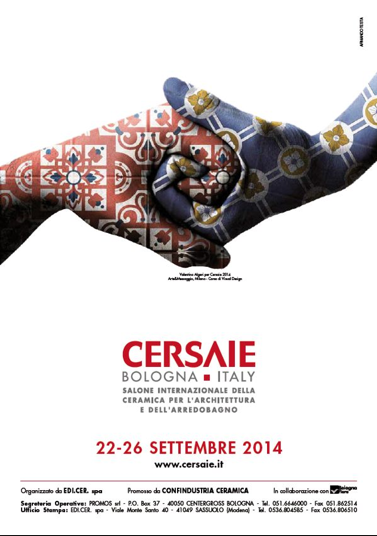 LATICRETE will be there! Will you? Let us know if you going and we will send you complimentary tickets! Click here to email us your details for your FREE tickets. 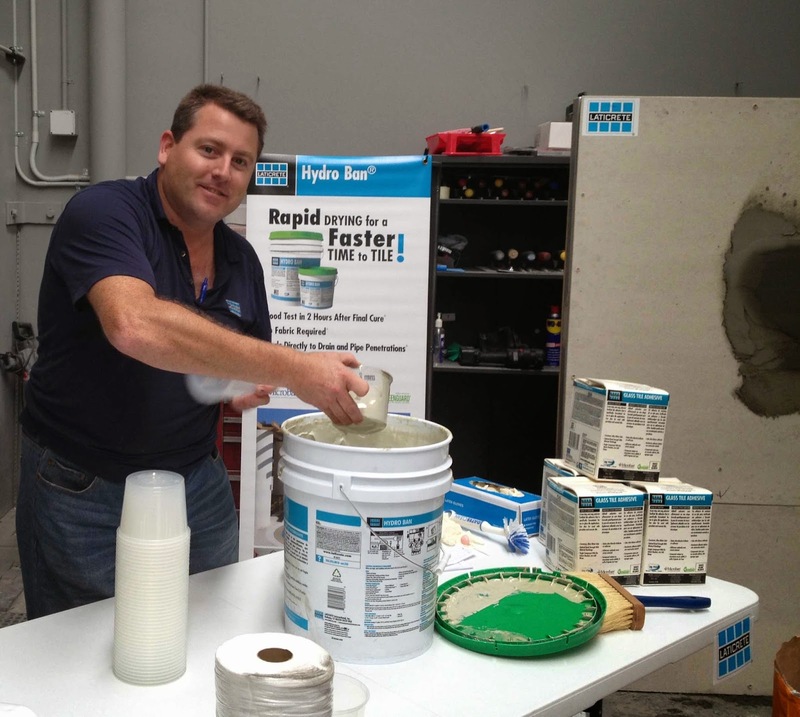 LATICRETE QLD Technical Sales Rep, Nick Collett with team members from SEQ Tiling, mixing up LATAPOXY® SP-100 and SPECTRALOCK® PRO Grout. Mix LATAPOXY SP-100 liquids together until colour changes to an evenly mixed colour. Add the Part C - SPECTRALOCK PRO Grout powder, available in 40 colours. LATAPOXY SP-100 is a stainless, pigment free, colourfast epoxy grout for grouting floor installations of ceramic tile, brick, and stone. Cleans with water while fresh. Can be used for interior and exterior applications. Ideal for kitchen floors, counter tops, bathroom floors, malls, cafeterias, and laboratories. Click here for more information. SPECTRALOCK PRO Grout is a patented, high performance epoxy grout that offers colour uniformity, durability and stain resistance with extraordinary ease of use. SPECTRALOCK PRO Grout is designed for use on ceramic tile, glass tile and stone applications, both residential and commercial. It can be used both interior and exterior on floors and walls. Ideal for re-grouting applications, SPECTRALOCK PRO Grout is perfect for swimming pools, fountains and other wet area applications. Click here for more information and to view an installation video. Can we interest you in FREE samples or perhaps a demo? Contact for more information by calling 1800 331 012 or email us here. 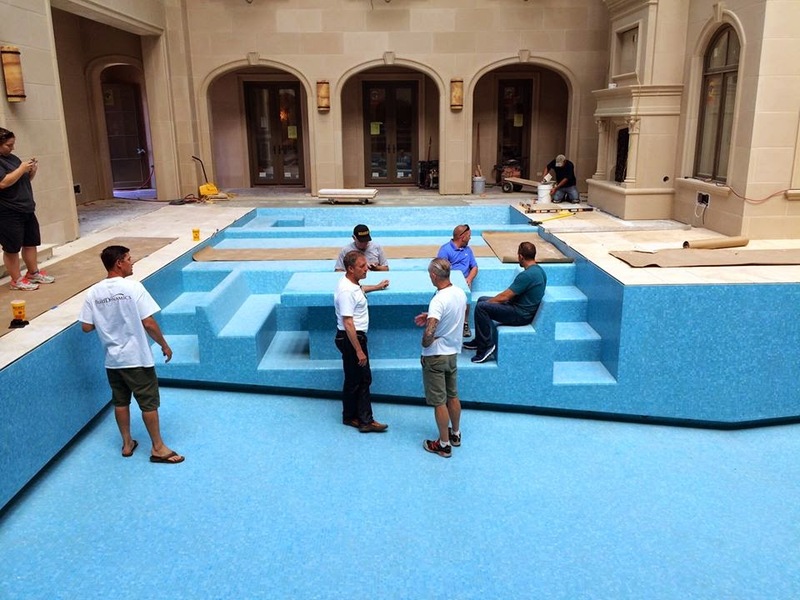 LATICRETE® was the choice of installation materials for this 175m2 pool. J.H. Cockerell are the engineers and a long time LATICRETE specifier for their pool projects. Douglas Construction is the builder. SPECTRALOCK PRO Grout - click here for more information and to view an installation video. Click here to view/download our Pool, Spa and Fountain Tiling System Brochure - this great brochure details the various System Warranties available. For more information about our products, technical support, samples and general enquiries contact us on 1800 331 012 or email us here. In this YouTube episode, tile setter Tom Meehan demonstrates how to mix and install LATICRETE® SPECTRALOCK PRO Grout for a durable finish in a high-traffic area. Tom shares many tips, including how to clean out the thin-set before grouting, how to angle the float for uniform grout joints, and how to stay on top of cleaning this sticky and time-sensitive material. Can we interest you in a FREE sample of SPECTRALOCK® PRO Grout? Contact your local Technical Sales Repo for more information by calling 1800 331 012 or email us here. 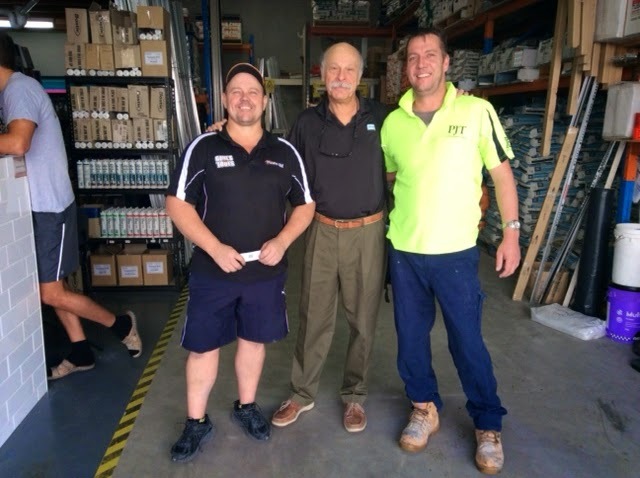 Our General Manager, Henry B. Rothberg with Darren from Glues n Tools, in QLD. Glues n Tools is your local LATICRETE stockist of Adhesives, Mortars, Grouts, Waterproofing Membranes and Self Levelling materials. For more information on LATICRETE products, requests for FREE samples, to arrange a product demo or even a Trade Event contact your local LATICRETE Technical Sales Rep by calling 1800 331 012 or contact us here. 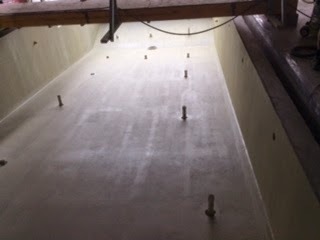 LATICRETE Technical Sales Rep, Joe Tabone has been onsite offering technical support and assistance to Steve Smith from Smithy's Contracting, as HYDRO BAN was the chosen waterproofing/crack isolation membrane for this spa in Castlecrag, NSW. View an installation video on HYDRO, as well as more product information by clicking here. Contact us for FREE technical support, job site visits or request a FREE sample, by calling 1800 331 012 or email us here. Hopefully You Have Booked This in! This is Nick - Make sure you see him at the event for your •give away. Your local LATICRETE Technical Sales Rep, Nick Collett will be at Brims Twin Towns Sand and Gravel tomorrow, Tuesday 5 Aug from 7-9am. Get to see Nick demonstrating HYDRO BAN® waterproofing membrane, STRATA_MAT™ and 3701 Fortified Mortar Bed. Nick will discuss how these products can save you time and money buy earning you more $$$ through increased productivity and reducing job site problems. Chat to Nick about your upcoming projects and find out how LATICRETE will support your next project. Make sure you see Nick on the day to get your *FREE give away. This fantastic promo is one not to be missed!